In anticipation of a Future Tense event on technology and the future taking place in Washington, D.C., Senior Sustainability Scientist Sethuraman Panchanathan explores the subject in Slate magazine. 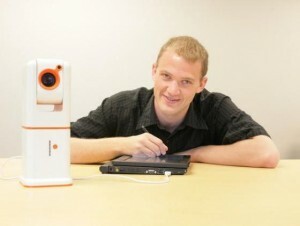 His article, titled "The best adaptive technologies are designed by, not for, people with disabilities," illustrates this point using ASU graduate David Hayden as an example. Hayden, who is visually impaired, used his disability to develop an assistive tablet called the Note-Taker - a technology that his sighted peers were also eager to use. "Truly revolutionary technologies require engagement with users throughout the design and development process. While it’s helpful to get feedback and ideas from focus groups on users’ needs, short sessions don’t give us a full understanding of the challenges and opportunities in developing assistive technology solutions," writes Panchanathan. "It is imperative that people with disabilities play a leading role in envisioning, conceptualizing, developing, implementing, deploying, testing, and validating potential solutions, tools, and technologies." In a November 2014 Thought Leader Series Piece, Ray Jensen made a similar point about the importance of including disabled persons, particularly from a sustainability standpoint.